It is somewhat ironic that it was Keynes who said that politicians tend to be in the thrall of a defunct economist because his shade is haunting our council chambers at this budget-setting season, but sadly he is one of those ghosts that remains unseen and unheeded. John Maynard was a man with an aphorism for all seasons,and that most appropriate for today's economy was his 'paradox of thrift'. Commenting on the horrifying consequences of the Depression of the 1930s, Keynes noticed that people's natural response to be cautious in times of crisis could actually make the problem worse. While saving at the individual level may be entirely noble, at the level of an economy as a whole, and especially one with insufficient demand, it can be devastating. The lost decade for the Japanese economy, when cautious citizens saved and the economy floundered, is often taken to be the paradigmatic case. In this era where Depression threatens us again it is dangerous to have so many councillors whose experience is in running small businesses and who rather than understand economies as systems of interacting citizens take the perspective of the shop-keeping: economising rather than economics. What was revolutionary about Keynes's way of looking at economics was that he was able to see the system as a whole, to explain, and even to influence the system dynamics. We need our politicians nationally and locally rethink their understanding of their role. Two concepts that may be useful in this process are boundaries and circulation. If you are a business, then money you spend goes on the negative side of your balance sheet - it is a leakage, its benefits are external to your balance-sheet and therefore it should be minimised. This is because your business has clear boundaries. If you are a highly diversified business you may be able to keep a much higher degree of spending within your organisation, which is why SMEs are facing unfair competition, but none the less keeping costs down makes absolute sense. If you are a local authority all the businesses within your area are inside your organisation, since all pay taxes if they thrive as do the people they employ. The boundary you should bear in mind when writing budgets is the local economy: just as you try to minimise costs within a business your priority as a politician should be to minimise leakages from the local economy. To cut your own budgets to the bone, or not to spend money budgeted in this period, is like cutting your own income rather than cutting your own outgoings. The question of circulation is a bit more difficult to grasp because it requires us to think systemically, something the human mind seems reluctant to do. It is also not entirely valid in an environment where the interaction between local and central government spending is so complex, but it is still true to say that money spent by local councils is not lost to them. Every time they create a job they potentially save spending on housing benefit or homelessness, and add to their revenue from council tax. If they intentionally spend more with local businesses then they may well see a rise in their business rates. This is an example of positive multipliers – local government spending can stimulate the local economy and as it grows more money flows into council coffers. At the moment we are seeing the reverse effect – both national and local governments cut spending and this reduces their spending with businesses and reduces the revenue they gain from businesses. This happens when councils cut jobs, so, as a key local employer, the decision many local councils have taken to cut their staffing levels will inevitably reduce spending by their employees in the local economy. 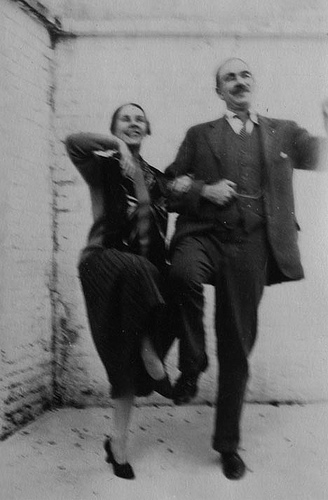 It was because of the importance of flows rather than isolated transactions and of the economy as an interacting system that Keynes invented the term 'the multiplier'--government spending can stimulate activity, leading to more transactions in the economy, more money being raised in taxation, which can be respent into the economy, creating a virtuous circle. The austerity measures of the Coalition are achieving precisely the opposite: cuts are leading to economic shrinkage, lower tax revenues, and a growing deficit. This is the problem that Greece is facing, and is what Danny Blanchflower refers to as the 'death spiral'. But let's return to Keynes's aphorism about the defunct economist, because what he was really criticising was the tendency amongst policy-makers to always respond to the previous crisis and to ignore the facts that have changed. This is the failure of the socialist and even, to some extent, the New Labour left. Their focus is still on jobs and on growth, but a Keynesian stimulus on the 1930s pattern cannot be the solution this time. We are boxed in by an environmental crisis that, if unsolved, will cast our present economic woes into the shadows. 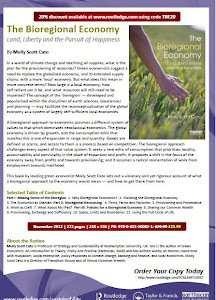 Here is where green economists might play a useful role in rehabilitating and updating thrift. The idea of the thrifty housewife, who was a heroine during the war years, was deliberately targeted by advertisers keen to expand consumption to ensure sufficient 'aggregate demand'. The thrifty housewife who insisted on durable fabrics and eschewed fashion and refused to take on debt was persuaded to become the spendthrift retail therapist, maxing out her plastic and buying shoddy goods imported from foreign sweatshops. The consumer, and especially the person who consumed on credit, was the only thing standing between our national economy and economic disaster. Before the economy had reached the planetary boundary this simulation of growth made sense, but it is now as dangerously obsolete as a death-dated printer or a cream stair-carpet. Our duty must be to become ecological citizens, to prioritise happiness founded on relationship and virtue rather than on material acquisition. So where does this leave green economists with Keynes's paradox? As Stephen Fry likes to say, it is all a question of levels. An acknowledgement of the ecological limit to economic activity means rethinking the wastefulness of the global economy, but encouraging the health of local economies. In Keynesian terms we might think of this as working with local rather than global multipliers. Collectively we-the-people do not behave like people who intend to employ other people. On the whole we behave like people who are committed to getting - if not everything for nothing, then at least more for less. The net result is "Manufactured Uselessness" - a topic I have often covered in my blog. Right or Left, or Right or Wrong? Personal carbon allowances - Can we make a start? Is it the Economy, or is Osborne Stupid?